By any measure, workplace sexual harassment and anti-harassment training were the most talked, written and blogged about compliance topics of 2017. However, there were also a number of other compliance themes and issues that garnered the interest and concern of the thousands of HR managers who visited Traliant’s blog. Compliance training has a better chance of success when you make it part of a comprehensive program and enlist the support of managers and supervisors before rolling out courses to employees. Among the ten tips in this post, survey your end users on their experiences with the training. Their responses can help clarify or update content and improve completion rates. A new law, SB 396, which went into effect on January 1, requires that California organizations with 50 or more employees train managers and supervisors on how to identify and prevent harassment based on gender identity, gender express and sexual orientation. The post summarizes SB 396 and its focus on expanding workplace fairness and respect and preventing harassment and abusive behavior against LGBT employees. This post gives an overview of the Department of Fair Employment and Housing’s new workplace harassment guide and California organizations’ obligation to prevent sexual harassment and retaliation and comply with AB 1825 and AB 2053. At the mid-year mark, we were proud to announce a number of developments. Among them: new customers, including Orlando Health, VARIDESK and Viceroy Hotels, a new Code of Conduct course, new versions of our Preventing Discrimination & Harassment training for the hospitality, industrial, restaurant, retail and medical sectors, a new office in Montclair, NJ, and a new partnership with TOPYX, a leading LMS developer. In 2017, too many organizations learned the hard lesson that boring, click-next Code of Conduct training isn’t an effective tool to prevent ethics and compliance violations. This post describes our new approach to Code of Conduct training and the features that connect with today’s modern workers, who are raised on video-on-demand, interactive technologies and social media. FCPA Violations: Can Your Employees Recognize a Bribe When They See One? Employees and third-parties making improper payments are among the biggest risks for FCPA violations. This post highlights some high-profile corporate violators, along with examples of tangible and intangible bribes, which can result in violations and millions in settlement costs, not to mention reputational damage to the organization. When, for the first time in over ten years, the EEOC revised its enforcement guidance on national origin discrimination, we put together a “Do’s and Don’ts” chart to help employers reduce the risk of costly claims of workplace discrimination based on ethnicity or country of origin. Even though women comprise nearly 50% of the US labor force, 2017 saw many organizations being fined by the EEOC for illegally rescinding job offers to qualified candidates after learning they are pregnant or penalizing current employees after they became pregnant. This post lists some reminders of what to do and what not to do to comply with the Pregnancy Discrimination Act of 1978. Retaliation, in all its forms, remains the most common discrimination complaint filed with the EEOC. This post defines retaliation, lists what actions by employees or job applicants are protected against retaliation, and highlights some of the EEOC’s “promising practices” to help employers reduce the risk of retaliation incidents and claims. 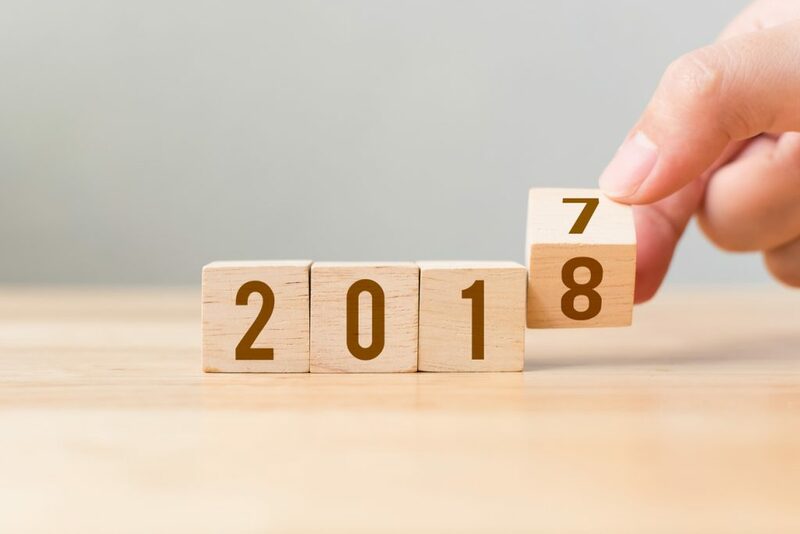 What ethics and compliance topics and training courses will be important to you and your organization in 2018? Connect with us @Traliant or email us at marketing@traliant.com. We’re listening. From all of us at Traliant, we wish you a happy, prosperous and compliant 2018!